FINE ESTATE & VINTAGE JEWELRY. 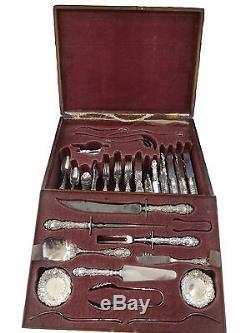 Lucerne by Wallace Sterling Silver Flatware Set Service Fitted Box 205 Pieces. 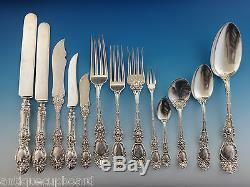 EXCEPTIONAL massive LUCERNE BY WALLACE Sterling Silver DINNER SIZE flatware set, 205 pieces in original fitted box. 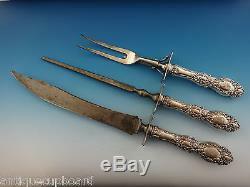 12&###xA0;Dinner Size&###xA0;Knives, 9 5/8. 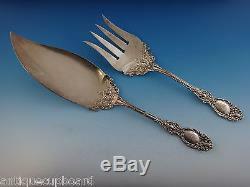 12&###xA0;Dinner Size Forks, 7 1/2. 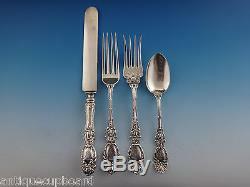 12 Flat Handle Individual Butter Spreaders, 5 1/2. 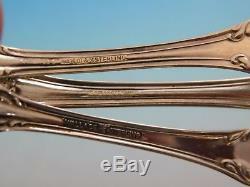 1 8 Cocktail Forks, 5 7/8. 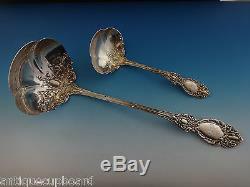 1 8 Demitasse Spoons, 4. 1 Gravy Ladle, 7 1/4. 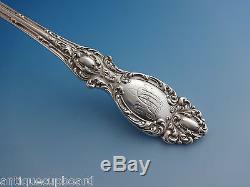 12 Serving Spoon, 8 1/4. 2 Cold Meat Forks, 8 1/2. 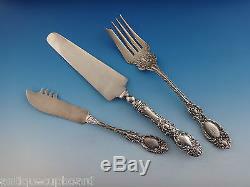 3-Piece Roast Carving Set&###xA0;(some blade/tine wear, see photo), 14", 12 1/2" , & 10 5/8. 1 Berry Spoon, 9 3/8. 1 Cheese Knife w/ Pick, original, 7 7/8. 18 Fish Forks, All Sterling, 6 7/8. 18 Fish Knives, All Sterling, 7 3/4. 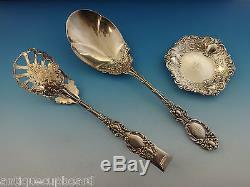 1 Fish Serving Set, 2-pc, 11 3/8" & 9 1/2". 12 Fruit Knives, 6 3/4. 12 Ice Cream Spoons, 6 3/4. 1 Ice Tong, 7 1/4. 1 Soup Ladle, 12 1/2. 12 Individual Nut Dishes, 3 1/4. 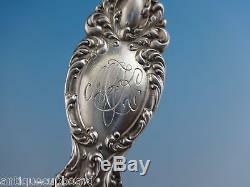 1 Pie Server w / Silverplated blade, 10 1/4. Includes ORIGINAL VINTAGE FITTED BOX, some wear to the box as expected with age, (no sugar tong in sugar tong spot). Excellent condition overall, matching monogram "MJK" in fancy Old English script. &###xA0;&###xA0;&###xA0;&###xA0;&###xA0;&###xA0;&##xA0. How do I return my product? This listing is currently undergoing maintenance, we apologise for any inconvenience caused. 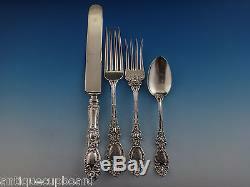 The item "Lucerne by Wallace Sterling Silver Flatware Set Service Fitted Box 205 Pieces" is in sale since Tuesday, July 5, 2016.